Our job is to do research. Research on how good a particular VPN service is and whether official “claims” are backed up with performance and high-quality service. This Proxy.sh review will take a look at whether Proxy.sh has what it takes to enthrall and engage customers. Reviewing VPN services is tough. Partly because it is almost impossible to review a particular VPN service in a comprehensive manner. Some features/things get left out and the VPN service ends up losing customers. Therefore, we have come up with this complete Proxy.sh review so that readers can make an informed decision before they sign up for the service. 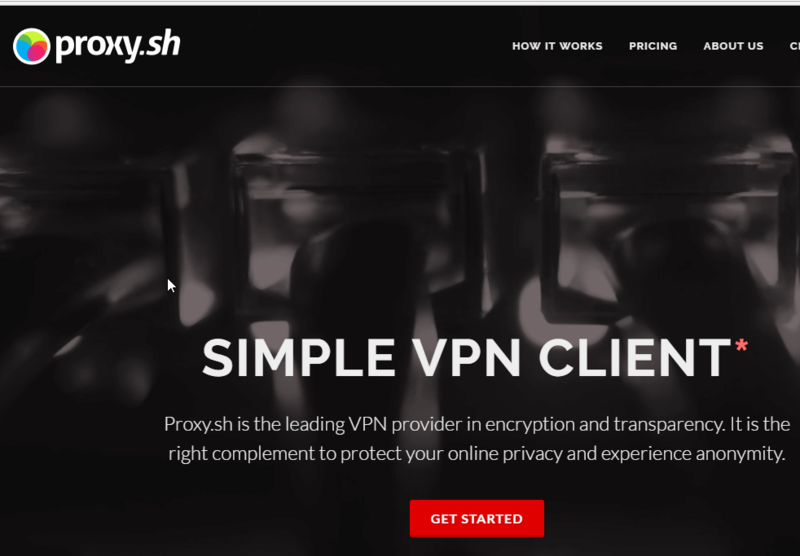 Can Proxy.sh VPN service live up to the claims on its official website? Even if it does, how does it compare to the rest of the field? These are just some of the questions that we’ll try to answer in this Proxy.sh review. In order to do a complete Proxy.sh review, we have researched all of its features and other services. We have also gathered the necessary data and official information to do justice to Proxy.sh as a VPN service. And truth be told, we do want the readers to read of review with a certain mindset. That mindset goes something like this. You should read this Proxy.sh review by keeping the thought of your own needs and requirements in your mind. Only then can you truly know if this VPN service is right for you. Internet service providers are all set to capture your online data and then sell it to the highest bidder. So you need to take the task of signing up for a VPN service rather seriously. Here is what you should know about Proxy.sh as a company from the start. No, we’re not talking about whether it is a VPN service or not. Let’s move past that already. Proxy.sh is based in Seychelles. According to official sources, the VPN company offers extremely secure VPN connections. Proxy.sh VPN’s service is fast and discreet. These are some of the reason why it has managed to sign up over 20,000 clients in just a few years. And too, from all around the world. Of course, these are the claims that are made by official sources. You’ll have read the rest of the review to know for sure if Proxy.sh deserves your time. So who’s in charge at Proxy.sh? All we know that Proxy.sh is an organization that was formed by several anonymous individuals. We can’t think of a realistic scenario where people from such diverse range of countries met at a spot and then decided to open up a VPN company but we’ll play along. 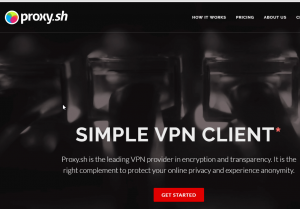 Official the Proxy.sh started its VPN service back in 2012. That is a mammoth half a decade ago. From the beginning Proxy.sh tried to set itself apart from other by offering several proxy technologies to users who cared about their online privacy and anonymity. Proxy.sh operations are reported to be strictly not-for-profit. Moreover, the company is very much interested in advancing the VPN industry forward. Proxy.sh, as a matter of policy, spend about one-third of the VPN company’s yearly earnings on areas such as developing VPN servers and increasing their numbers. So where does the rest of the money go? Well, the rest of the earning are used to pay contract workers and employee salaries. Let’s start with the most basic feature. That is, the free trial. First, you should know that VPN services are a bit different than other types of services. For one, VPN service completely exists online. Visitors come to a website which is in the online world. They buy a product that exists exclusively in the online world. Hence, it comes very important that one uses this online service before investing any sort of money into it. And that is the reason why most high-quality VPN service providers all offer free trial periods. If they don’t, people would hesitate to make an investment on a product that does not exist in the real world. We recommend that you take this tip to heart. Always try to test the performance of a VPN service before you pay the company some of your hard earned money. IN order to sign up for a service, you have to subscribe to one of their packages. As mentioned earlier, the great part about the VPN industry is that most premium VPN service providers offer free trial periods. In fact, some even offer a free trial period for all of their packages and not just for the cheapest ones. From our research for Proxy.sh review, we have found out that Proxy.sh does not offer any free trial. That holds true for all of their services. Which is a shame, because Proxy.sh has already wasted an opportunity to make a strong impact on its potential customer base. There Is no refund policy. So what are you doing here then? Proxy.sh does try to make it up with subscription packages are are really cheap. By really cheap, we mean really really cheap. You can subscribe to Proxy.sh for a mere $2. For 72 hours that is. Not a great package or is it? Or maybe it’s just a way to offer potential customers a free trial. Without the trial being actually free that is. But if you really think about it, 72 hours is more than enough for online users to test out any service. Let alone a VPN service. If you’re not satisfied with the service after testing it for over 70 hours, then that is a dead giveaway that you should not sign up for the VPN service. There are other more expensive plans too and we’ll come to them shortly. Proxy.sh has four VPN packages. The QUICK package is the one that we just described. You pay $2 and get access to Proxy.sh for 72 hours. Along with that, you get unlimited bandwidth and access to more than 30 VPN nodes. Next up is the BASIC package. You have to pay $5 for this package if you want the service for a period of one month. Increase that period to six months and you can have the package for $25 (for the whole six months). However, if you subscribe to the BASIC package for a period of twelve months, you get eh biggest discount. All you have to pay, for Proxy.sh service for a full year, is $40. In this package, you get access to special servers located in USA, United Kingdom, and Germany along with France and Netherlands. As with the previous package you get unlimited bandwidth. 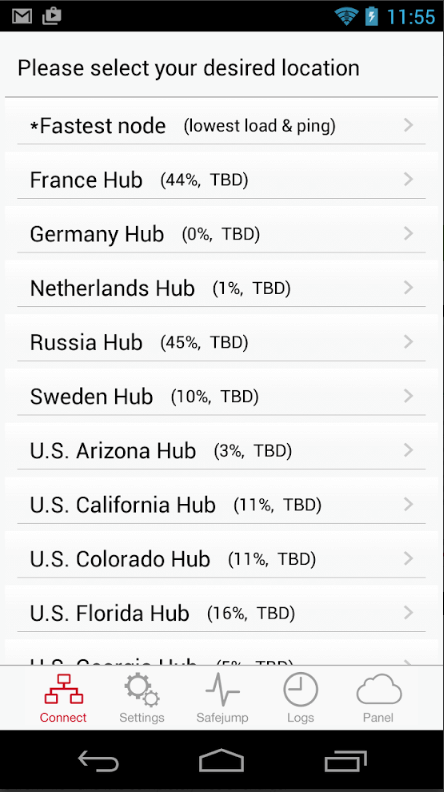 Lastly, you’ll get access to more than 50 VPN nodes with 1Gbps shared. The third package is the SOLID package. This package costs $10 per month or $50 for a period of 6 months and $90 for a full year. With the SOLID package, you get access to servers that are located in over 50 countries. As with all the previous packages you get unlimited bandwidth and access to more than 300 + VPN nodes with 1 Gbps shared. The last package is the PRO package. Proxy.sh PRO package costs $20 per month and $16.66 per month if you sign up for a full year. You’ll have access to all the features of the previous packages and more. Enjoy your 250 GB/mo quota and have access to extra features such as multi-hop technology. 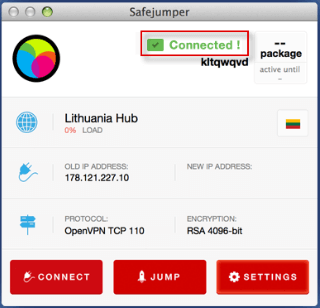 Users of the PRO package will also get early access to new features and Safejumper beta versions. Moreover, subscribers of the PRO package will also get access to eight premium VPN network nodes with 50 Gbps shared cap. What you really want to know is how is the payment process like? How are the standard operating procedures? That’s the question to which you want to know the answers. Let’s say you buy the SOLID plan. You’ll be required to hit the GET STARTED button. After that you’ll be taken to the package configuration page and then will be given options. Options to either subscribe to the package for a month or six months or a whole year. Assuming you pick “for one month” you’ll be required to click the ADD TO CART button. Then if you have a Voucher Code available, you should use it right here in order to get a discount. If you don’t then it’s not really a problem. Just click the CHECKOUT button and proceed with the rest of the subscription process. You should be able to see another CHECKOUT page. Here you will be required to enter your email address along with your password. Then you’ll be required to select a payment method. Let’s say you chose MONEY. After that, the process will want you to click the COMPLETE ORDER button. This is will you to another page which will display the INVOICE and ORDER number. If you click on the INVOICE button you will be forwarded a copy of the invoice page. You would also want to process the payment here. Now simply click the button that says CLICK HERE TO PAY. You can find it by looking under the UNPAID box. Now, you will be taken to another page and you will have to select a country. Choose your country and then click PROCEED. Let’s also assume that you did all of what we described above. This should bring you to yet another page. Here, we’ll assume, you’ll select PayPal. After selecting PayPal click on the BUY button. Now the official Proxy.sh website will direct you to a PayPal payment page. Use Bitcoin if you care about your anonymity, though. The process will finish, once and for all, if you simply proceed with your PayPal payment and complete the subscription process. This is going to be a long list to hang in there. Proxy.sh is right up there with the big boys when it comes to security tools and technology. The VPN company has some of the most advanced methods of securing user data and privacy seen anywhere in the VPN industry. Each Proxy.sh get to use multiple types of encryption protocols. Along with these, Proxy.sh also offers other proxy technologies such as HTTP proxy and SOCKS. As mentioned earlier as well, Proxy.sh is no slouch when it comes to ensuring user privacy. It can probably be ranked amongst the best VPN service providers as far as privacy is concerned. But of course, it is always about the whole package. Proxy.sh maintains the official policy of one hundred percent no log policy. This ensures that each of its users’ privacy is protected. Moreover, Proxy.sh does not keep any connection logs either. A lot of VPN service providers are unclear about whether they keep connection logs or not. But they proudly boast about a no-log policy anyway. Proxy.sh is at least honest about its strengths and weaknesses. Does Proxy.sh Has Any Information On The User? The company does keep information that is related to the type of subscription package a user has purchased. It also keeps a record of the email address that a user used to pay for his/her package. This, of course, is linked to the user’s chosen payment option. For what it’s worth, Proxy.sh allows users to register via fake email address. This further protects the privacy and anonymity concerns of the users. Will Privacy.sh Help Law Enforcement Agencies And Release User Data? First off, Proxy.sh doesn’t really have any data. But what little quantity it does have, it will release subject to the following conditions. Proxy.sh will only share user information with law enforcement agencies after it has informed the company’s customers in advance through a special Transparency Report. What if they aren’t forced by the law? If Proxy.sh is not coerced by the law then the company will simply bypass any illegal censorship on part of the government with Proxy.sh Warrant Canary. We told you before that it is useless. But there are enough fools in the world to believe that Warrant Canary works. This type of policy is exactly what the users need when they want to surf the Darknet in a more anonymous and secure manner. And if push comes to shove, then Proxy.sh will probably suspend their operations in the related jurisdiction. This will further protect the privacy of the company’s users. Because the company itself is based in Seychelles. This means that the company operates out of the most friendly country in the world when it comes to protecting online user privacy and ensuring user anonymity. From what we have researched for this Proxy.sh review, the worst Proxy.sh can do to comply with law enforcement agencies order is to shut down the VPN server in question. Of course, the company still has to reply to a DMCA takedown request. And it does so by shutting down the concerned VPN server. This is what we like to call ethical policy. In short, Proxy.sh doesn’t keep any logs. Your data is one hundred percent NOT logged. As of this moment in time, Proxy.sh offers more than 300 VPN servers which are spread across the globe in over 52 countries. Proxy.sh has multiple VPN servers in some of the most popular locations in the world. If users want to watch their favorite broadcasting channel or want to unblock a specific website then they can do it without moving an inch. Proxy.sh is that easy to use. Does Proxy.sh Work With Netflix? Of course, there are other vpn services that work with Netflix too. Proxy.sh has its own custom built VPN client. A weird number but whatever. The software application is itself anything but weird. It is actually pretty user-friendly. The VPN software application comes with a lot of options. 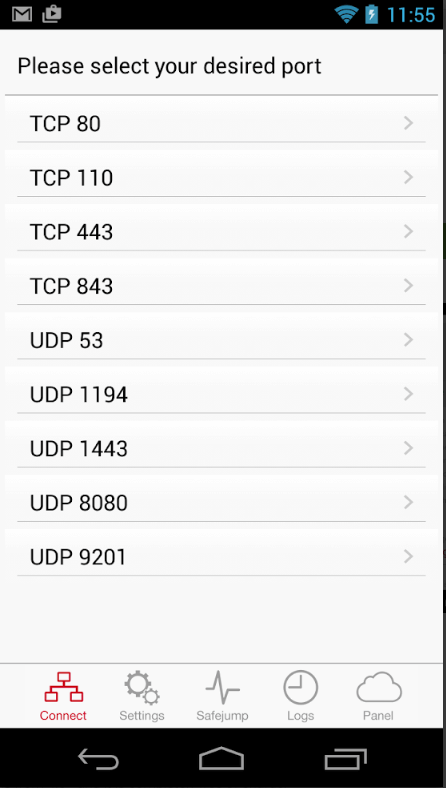 The user can tweak many settings such as Proxy.sh ports along with VPN protocols and VPN server locations. All of these settings including VPN networks can be altered in a secure and easy manner. Proxy.sh VPN software application also does a lot of other things. 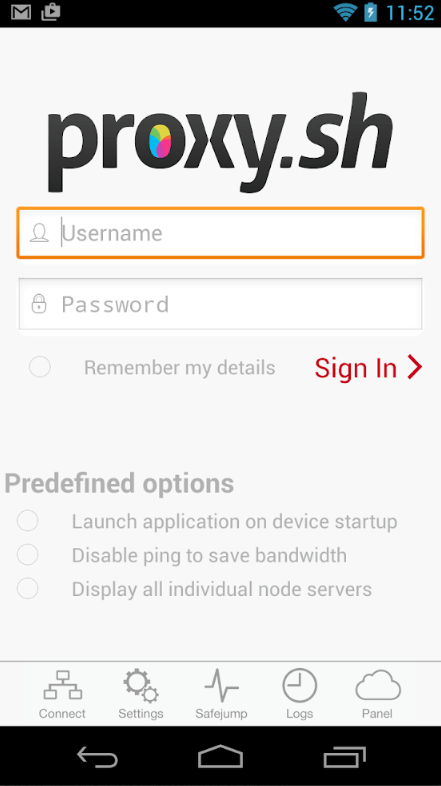 For example, from within the VPN software application, you can fine tune the settings of your account. You can also modify most of the network settings. Depending on your device, all of that is achievable with the help of a few clicks or taps. You probably know the standard procedure already but here it goes again. To use Proxy.sh you will need to download their proprietary VPN software application. As mentioned earlier, that software application is called Safejumper. Assuming you’re running Windows, you’ll have to download the Windows version of Safejumper. Before all of that though, you must subscribe to one of Proxy.sh subscription package. Then, from the official website, download the appropriate Safejumper file and then install. The software installer should be downloaded to a place which you can remember easily. You don’t want to end up with a misplaced software installed. After the downloading process has finished, you’ll have to run the downloaded file using administrative rights. The next step would be to select the proper file location in which to install Safejumper. Then all you need to do is to wait it out. Allow the installation process to reach its completion stage. When the software application has installed on your system, you should be able to see a dialogue box. This dialogue box will ask you if you want to install the Proxy.sh TAP-Windows Provider V9 Network adapter. And since you want to use Proxy.sh, you should go ahead and click install to move ahead with the rest of the installation process. The next step is to see through the installation process of TAP-Windows Provider V9 Network adapter. You must click the close button to actually finish the whole setup. 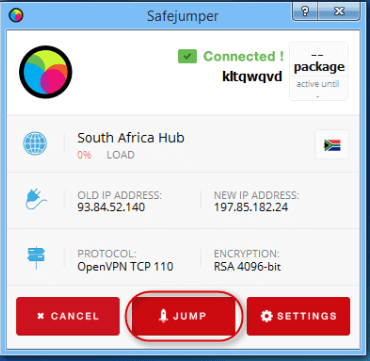 The installation process will automatically create a Safejumper icon on your computer machine. If you see that icon, it means that the installation process was mostly successful if not completely successful. By now you should be familiar with the whole process of installing VPN clients. If you have read the review till now, then would know what happens next. 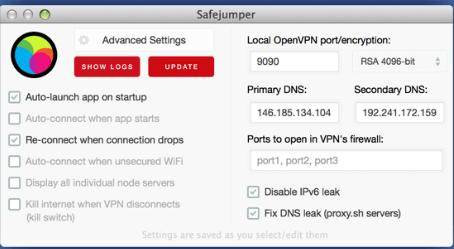 Just like a standard VPN client, Safejumper, on startup, shows the user a screen. 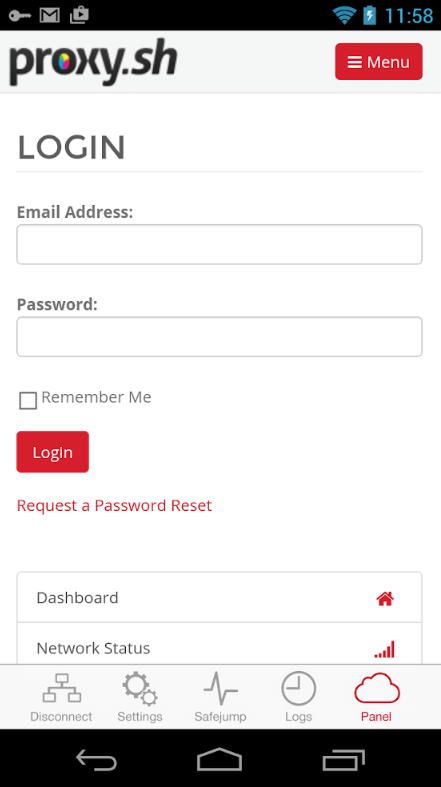 This screen displays the fields for the user’s username and password. In order to progress, the user has to input the correct credentials. When the user has done so, the software application takes the user directly to the main interface of the software application. To connect to a VPN server, the user has to click the connect button that is shown at the bottom of the main menu window. That is how simple Safejumper is. 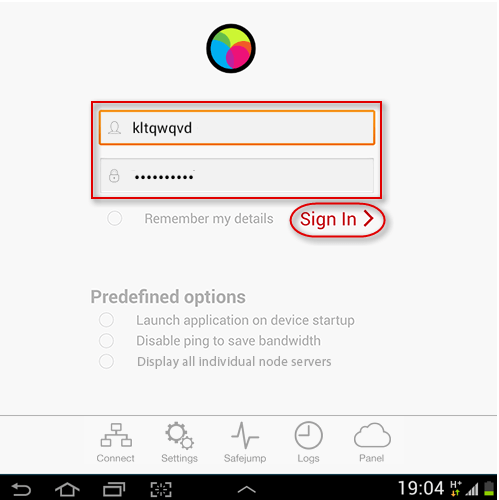 Using the same main menu the user can select the VPN network location along with the preferred protocol. Both of these features are neatly displayed on the main interface. Whenever you connect to the Proxy.sh, the software application icon turns green. Needless to say, this indicates that Safejumper has successfully connected to a VPN server. As mentioned before, generally speaking, Proxy.sh has a simple interface that is intuitive to use. It’s not bad to look at either. Users have the option of effortlessly changing their location and adjusting their VPN protocol until they are satisfied. Not to mention that users can also change account settings along with other settings that are related to network options. The only effort required on part of the user is, clicks/taps depending on the device. The overall experience of using Proxy.sh is a pleasurable one. It has fast servers and a simple interface. This makes using Proxy.sh a professional experience if not an enjoyable one. Part of the reason is Proxy.sh VPN client. It is extremely simple and straightforward to understand. There are no lengthy installation processes. A few clicks here and there, or taps here and there, and you’re all set to go. The interface is designed in such as way that users don’t have to click too much in order to get stuff done. Add to that the fact that Proxy.sh has a great set of security tools and you have a VPN service that tries it best to be the complete package. Proxy.sh is perhaps the only VPN service provider that we know of that offer a free VPN speed test feature. Of course, the speed test feature only works for Proxy.sh network. But nevertheless, it is useful enough. It is useful because new users who haven’t yet taken the plunge can check out the VPN server speed before paying for the service. That way they can make a more informed purchase decision. For our Proxy.sh review, we did not pay any attention to Proxy.sh custom speed test software application. Otherwise, our Proxy.sh review would be received by the readers as a biased one. And hence we fully understand the situation. To measure Proxy.sh speed, we always go with two well-known and reputed websites. Before we announce the results here, you need to understand something. No matter how good a VPN service provider you pay for, you will always experience a drop in your internet connection speed. This is just the way VPN services work. VPN services have to encrypt your data and then secure it by rerouting it. All of this takes resources. This, then, slows down the overall connection speed. Moreover, the speed of any VPN server at any given moment is dependent on network conditions. As well as how far away are you from the connected VPN server physically. In other words, you should always expect some drop in download speeds and upload speeds. With that said, you should also expect an increase in latency rates. Sorry folks, but that’s just the price one has to pay for a VPN service. Actual number don’t really matter much when it comes to VPN services. From our research for this Proxy.sh review, we found that you should have no problem in surfing the web through networks such as Tor. You should also be able to stream YouTube videos with considerable smoothness. And media-heavy websites should also load within acceptable time limits. That’s all you really need to know when it comes to Proxy.sh VPN server speed. Proxy.sh offers three simultaneous devices per user account. While this number is not huge, it is pretty reasonable. Other big name players like IPVanish offer five or more but for most users, three should be enough. Users also have the freedom to connect any device of their choice. Some VPN services do allow multiple simultaneous devices but don’t offer much variety in the type of devices that are connected to their VPN servers. Proxy.sh isn’t one of those VPN services. With so many servers to choose from, you will rarely get caught in problems related to VPN networks. Proxy.sh has got a lot of features for its dear “potential” customers. But most of them will be usable depending on which package you have purchased. Overall, with our Proxy.sh review, re can confidently say that, Proxy.sh offers the following features. And the fact that the company is based in Seychelles is also counted as a feature because, after all, it is a feature. Proxy.sh has an online ticketing system that is available round the clock for seven days a week. If you want more help and information then you can always get your questions answered via the official blog. Or the FAQ section on the official Proxy.sh website. In fact, the official website also has a dedicated knowledge base page. Now you must keep one thing in mind though. Even though the official website says that it offers 24/7 customer support, it also tells the customers that they should expect a response within 12 hours. So, expect a response within 12 hours. 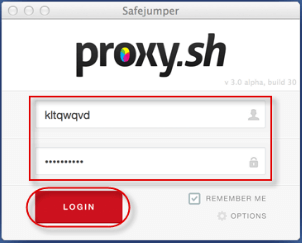 The best part about Proxy.sh VPN software application, Safejumper, is its versatility. It is compatible with almost all major operating systems and other platforms. For the purposes of this Proxy.sh review, we decided to research and review the Windows version of Safejumper. To put it another way, our Proxy.sh review is based on how the VPN client and the user interface works and feels, respectively, on the Windows platform. What about other types of platforms? Basically Proxy.sh is compatible with Tomato firmware routers and DD-WRT ones. Apart from that, you can also make Proxy.sh work with Tor browser. That way you’ll be able to surf the Deep Web without worrying about hackers and other cyber criminals. Of course, that should not lead you to believe that you don’t need a VPN service if you’re not surfing the deep web. Even on the “normal” web, you need to have a VPN service turned ON. That is the only way to not get tracked by your government, advertising companies, and your internet service provider. You didn’t read our whole Proxy.sh review? We’ll let it slide and give you a need Proxy.sh review summary here. Proxy.sh is a solid VPN provider when it comes to features such as security tools and privacy protection. It also takes care of your online identity pretty well. The encryption technologies can match any other VPN service provider. User privacy and anonymity is the top priority when it comes to Proxy.sh. So where does it run short? Proxy.sh does not have a free trial. It doesn’t have a refund policy. Moreover, the company has usage caps on monthly plans. That can be a huge headache when you’re overloaded with work. But even with the cap, Proxy.sh is pretty decent because of the attention it gives to anonymity and online privacy. Proxy.sh can be a good VPN service provider for you if you really know what you want. The privacy and security features are top notch and besides, P2P connections are allowed.